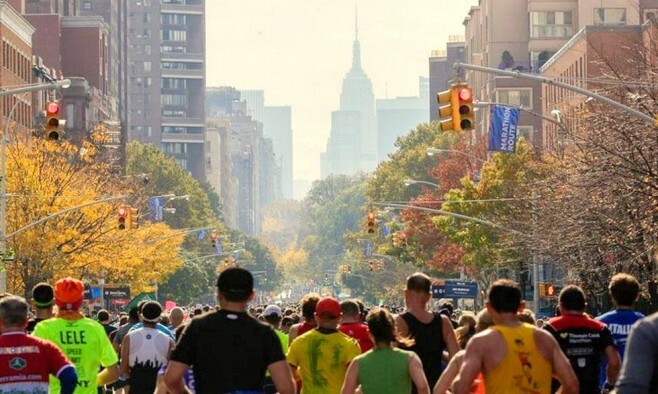 Head to world’s biggest and most popular marathon course to cheer on runners raising money for Parkinson’s disease charities. Or become a volunteer on the day – with 50,530 finishers in 2014, it’s is a great way to pay it forward for a future marathon. Throughout November President Obama encourages all Americans to honour the contributions of caregivers, and pledges to continue to work towards a future where all caregivers know the same support and understanding they show for those they look after. Join Lady Victoria Leatham at the University of Northampton as she gives a talk on antiques at Burghley House. The cost of the ticket goes to the Cure Parkinson’s Trust. Join Professor Chris Miller at Kings College hospital as he explains his research into mitochondria, calcium and alpha-synuclei. Using incredibly sensitive microscopes, the team to investigates how alpha-synuclein affects the protein connections between mitochondria and the endoplasmic reticulum. Join the race to the top of the tallest occupied building in Birmingham, Beetham Tower, the home of the Radisson Blu Hotel, Birmingham. Every step climbed on this tower-running challenge will bring finding a cure closer and improve life for everyone affected by Parkinson’s. Join Professor Robin Lane Fox at the University of Northampton as he gives a talk on gardening history. The cost of the ticket goes to the Cure Parkinson’s Trust. Find tips by joining the one­-hour online seminar, led by the Parkinson’s Disease Foundation and Rebecca Gilbert, MD, PhD, Clinical Associate Professor of Neurology, NYU Langone Medical Center. A recording of this online seminar will be available from 17 November 2015. Join actor and model Nathan Kamp at the Langham Place hotel in Manhattan, for refreshments, music and silent auction all to benefit The Michael J. Fox Foundation. Join the Davis Phinney Foundation and local partners for The Victory Summit Parkinson’s symposium for a day of information and inspiration, featuring dynamic presentations from leading movement disorder neurologists and therapists from across the US. Learn about research, treatments and practical tools for living well today with Parkinson’s disease. Folk band ‘Run Boy Run’ invite Parkinson’s supporters to their show in Tucsan. They’ll also be selling copies of their CDs at the concert. A webinar discussing practical ways to protect from falls and how research is testing new ways to treat balance, posture and gait issues. This event is part of the MJFF Third Thursdays Webinar Series. Celebrity chef Michael Psilakis flips his own custom crafted pancakes, signs books and takes photos with fans to raise money for The Michael J. Fox Foundation.